In honor of Mother’s Day, we decided to each share our top picks for movies with Fierce Moms in them in our Friday Five. Did you know that 103 years ago today, President Woodrow Wilson made Mother’s Day official? As they said on the radio this morning, we don’t look a day over 99! 1. Forest Gump. 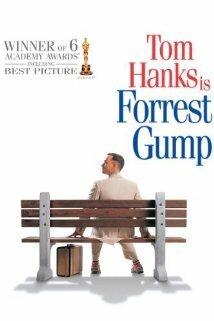 1994 – Mrs. Gump or ‘Momma’ (played by Sally Fields) is determined that her boy will have as normal of a life as possible regardless of what society tries to tell her and him. She provides such an extraordinary life for her son with total disregard to what she must do to make that happen (remember the sleazy principal). She believes and makes Forrest believe that he is just as special and smart as all the other children out there and there is nothing in this world that he can not do. She seeps confidence and love into every pore of Forrest’s being. How amazing would the world be if all mother’s were as FIERCE?!?!? 3. Mask. 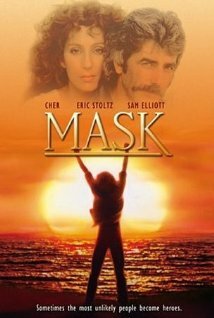 1985 – Surprising to find Cher in an unconventional role! – and this one is perfect for her. Mother of Rocky, Rusty is a motorcycle momma whose crowd accepts her son, born with a skull deformity, with respect and genuine affection. Rocky’s peers are not so gracious. Rusty, a member of the biker gang ‘Turks’, fights for her son’s inclusion in a mainstream junior high where after a ‘rocky’ start he does very well and makes friends of previous enemies. So many stereotypes shattered in this movie – I love the Fierce love each relationship embraces in this movie. Reminds us all that judging is hurtful and wrong. 4. 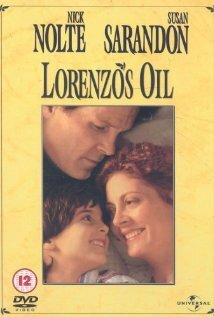 Lorenzo’s Oil. 1992 – This is such a tear-jerker for me and so motivating at the same time. True story – Lorenzo lived 22 years past what all the doctors were saying he would because of the Fierceness of his mother’s (and father’s) love for him and the determination to not accept his death sentence. Michaela (played by Susan Sarandon) is a human mother lion if there ever was one. She collides with the medical community, her family, even her own husband to find the solutions to her son’s rare medical illness that destroys the protective covering of his nervous system. Her FIERCE spirit contributed an amazing treatment to the medical community that was not previously available. Incredible!!! 5. Erin Brockovich 2000 – A single mother of three, Erin Brockovich is a force to be reckoned with. She needs a job and demands one of the lawyer that was unable to get her a settlement for a car accident in which she suffered injuries. She was actually the main reason the court case did not go well but she told her lawyer he said all was going to be fine and it wasn’t so she was here to work. She had kids to feed and she needed a job. She did not have much formal education but still excelled at her work and uncovers that the water in their local town was seriously contaminated. Long story short, her Sampson to the Corporate Goliath ruled the day and won a monumental decision and award. FIERCE mother kicking some FIERCE arse! Those three little ones should be so proud! 1. Murphy’s Romance. A 1985 romantic comedy starring Sally Field and James Garner. Fields’ character, Emma, moves to a rural town with her son after a divorce. Garner’s character is the older, wiser town pharmacist who is interested in Emma and her son for all the right reasons. Emma seems to make every decision with her son’s welfare in mind – so it’s a tough call when the child’s dad shows up wanting another chance to have his family back. This one leaves you with a smile on your face! 2. 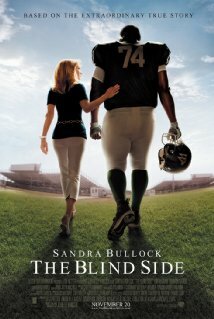 The Blind Side. S.J., a white high-schooler from a wealthy family, befriends Michael, a large black teenager from a background of poverty and foster homes. S.J.’s mom (Sandra Bullock) reaches out to Michael and he becomes part of the family. And S.J.’s mom goes into fierce mode to protect her newest ‘son.’ This 2009 semi-biographical sports drama has something for everyone. It’s loaded with football and cameo appearances by real coaches for sports buffs, it hits a range of emotions, and is an inspirational story that has its basis in a true story. 3. Beaches. 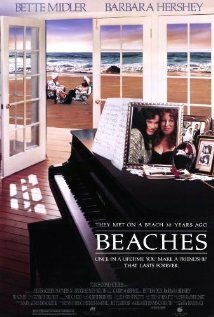 This 3-hankie movie 1988 Bette Midler film results in a total celebration of friendship and a mother’s love. 4. Terminator 2. 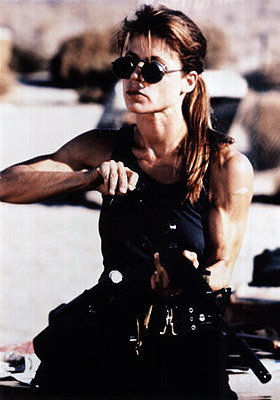 I can’t really recommend this one because I am soooooo not a sci-fi fan (or a cheesy B-rated adventure fan), but when M brought it up I had to admit that Linda Hamilton is definitely FIERCE in this 1991 flick. Because I only had 4 of my 5 slots filled, Linda gets in with an honorable mention. 5. The Proposal. This is one of my all-time favorites! The stars of this hilarious 2009 romantic comedy are Sandra Bullock and Ryan Reynolds. But the fierce moms are Mary Steenburger (determined to make sure her son is happy and supported) and Betty White (the best grandma anybody could ever ask for!) I dare somebody to sit through this without laughing out loud! WHAT’S YOUR FAVORITE FIERCE MOM MOVIE? Happy Mother’s Day – may all your flowers come from somebody else’s bushes!